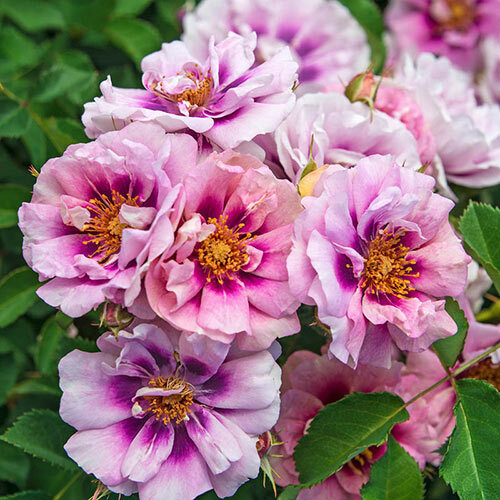 Own-Root Roses are recommended for northern gardens. 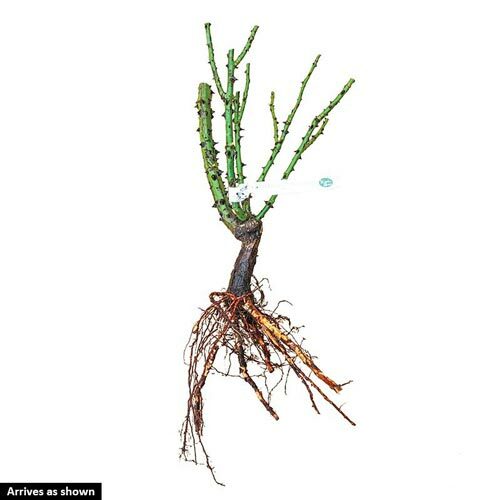 Grafted Roses can be grown anywhere. 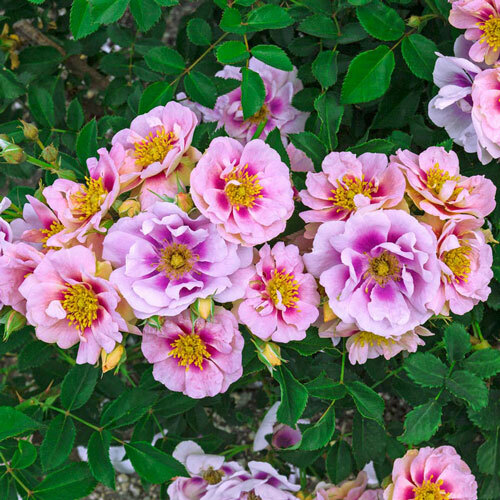 Unique CharactersticsSpring Hill: A standout in test gardens in multiple states, Easy on the Eyes Shrub Rose produces clusters of 15-20 blooms-truly a bouquet on a stem. The 3-3 1/2" flowers are peachy-pink with red eyes that change to lavender with purple eyes, creating a novel floral display of complementary colors. The flowers' moderately spicy fragrance will perfume your garden from late spring to fall. All of this flower power and color comes on a disease-resistant, cold-hardy plant with healthy, lush foliage.Developed by rose hybridizer Tom Carruth, Easy on the Eyes Shrub Rose is part of the Easy to Love® Collection which features roses that are easy to grow, naturally disease resistant, vigorous and floriferous. With just a little watering and fertilizer, you'll have loads of colorful blooms throughout the summer.